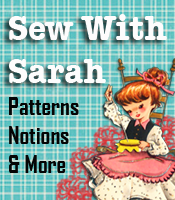 Children’s Sewing Cards On Sale – $4.95 per set! Children’s sewing cards have two distinct functions at our house! First and foremost, they are laying the groundwork for teaching children to sew, which will result in a lifetime of pleasure and/or income for the children. Secondly, they are wonderful for letting kids think they are “helping” me sew while I’m trying to do a little catch up work with the grandchildren here. Now is the perfect time to stock up on sewing cards and give those “bored” kids something to do. Each set contains 6 sewing cards designed to keep children “sewing” for hours! Let them share their cards with siblings or even have a friend over to “sew”. Now through June 30 you can get each set for just $4.95 each! (Normal price is $7.95 each). The children’s sewing cards come in a variety of shapes and categories, ranging from general items to specific things like cowboy cards, farm cards, circus cards, etc. Sewing cards are simple to make – just download the set you’d like, (white cardstock is the best to print them on), then, using a single hole puncher, punch all the black dots all around. You can then use assorted colored pieces of yarn (about 18-24 inches long, or carpet thread, or old shoe strings) for the child to sew. (You can put a self-adhesive clear laminating sheet on each one if you’d like) Here are a couple samples from the E-Z Sew Sewing Cards website page. There are six different sets and each one of them is sure to please the children! The “sewing” aspect of these cards helps with hand / eye coordination with toddlers and young children, and lets them think they are working as hard as the person who is actually trying to get a sewing or craft project done. 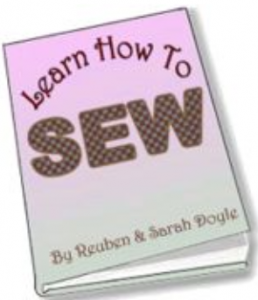 For the older children, you can start them on some hand sewing projects from the Learn How To Sew book, then move on to learning how to use the sewing machine. The Learn How To Sew Book is on sale for $14.95 until June 30 – Regular price is $19.95). This book is downloadable, so you’ll have it immediately to start working with! How Do YOU Sew When Kids Are In The House?